Athough the the numbers are not final, as of mid-March, the fall 2015 incoming class is shaping up to be the most selective in school history. The acceptance rate, currently at 44 percent, is a full 10 points lower than last year. "The demand for a Baylor education simply outweighs our capacity," says Jennifer Carron, assistant vice president of admission services. "The academic ability of this group is on track to be the best we’ve ever seen, so we are having to take extra time to identify the best applicants all around." Because of the high demand for a Baylor education, more than 3,000 applicants have been invited to join a wait list in the event that space in the entering class does become available. More legacy students than ever are continuing the Baylor tradition and making plans to enroll in the fall. Interest from students outside of Texas is on the rise. The incoming class could include the most out-of-state students in University history. 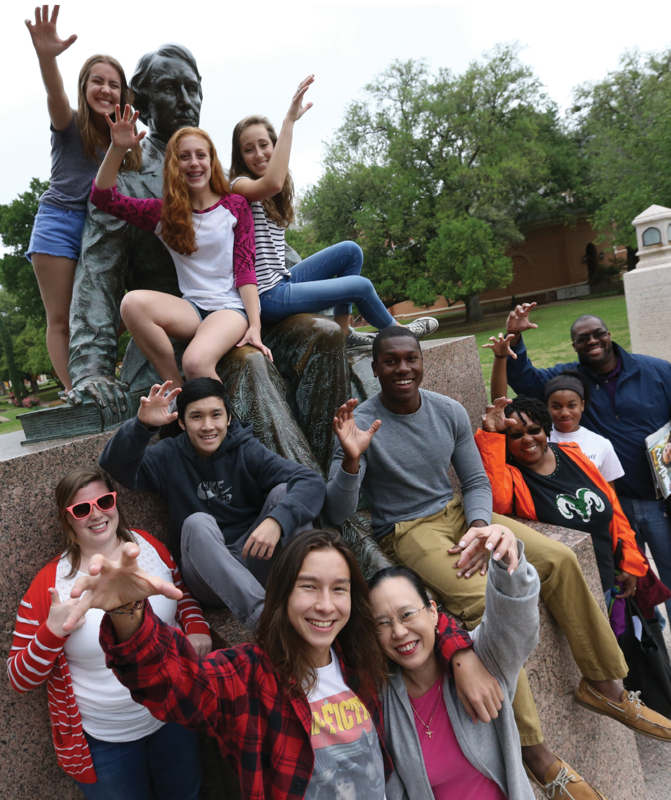 Prospective students are visiting campus to see firsthand what makes Baylor special. More than 45,000 visitors have already flowed through the Wiethorn Visitors Center since July 2014--a pace that would break last year's record total of 54,000 visitors.